For the second straight off-season, the Yankees will be losing a home grown star. Last year, we all watched as Robinson Cano took the money and went to Seattle (to be fair, it was a ton of money). 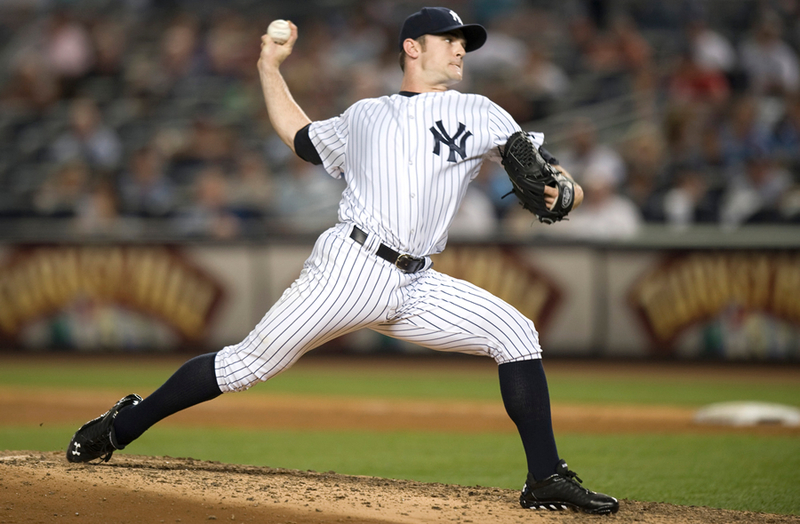 This year, we’ll watch as our former closer, Mr. High Socks himself, David Robertson, heads to the South Side of Chicago on a 4 year, $46M deal with the White Sox. What kind of impact will this have on the team? We’ve watched Robertson grow from a wild rookie reliever with promise to a top-of-the-line setup man to a potentially top-tier closer (he did very well last year) over the last seven seasons, and he will be missed. However, let’s not kid ourselves and say that this will be even close to as impactful as when Cano left last year. With the emergence of Dellin Betances last season; the acquisitions of lefties Justin Wilson (via trade with the Pirates) and Andrew Miller (free agency); the continuing contributions from Adam Warren and Shawn Kelley and the promise of minor leaguers like Jacob Lindgren, the Yankees bullpen is going to be pretty stacked in 2014. When Cano left and their big ticket free agents faltered, the Yankees were left with no offense. Even with Robertson gone, they should be OK.
That being said, I’m pretty sad to see him go. Here’s a guy that had good numbers last year (39 saves, 3.08 ERA and 13.4 K/9 in 63 games), which will be missed, but his biggest impact was that his performance made it possible for us to not ever miss Mariano Rivera. I mean seriously, was there ever a time, even during one of his 5 blown saves, that we ever wished Mo was back? I know I never even thought about it. If you can seemlessly replace the greatest closer of all time, you’ve done something right. That’s something none of us should take for granted. The one thing that kind of bothers me about this situation was that the rumor mill gave me hope that we’d end up having both Robertson and Miller, and possibly the best bullpen in the league. It turns out that, unlike Cano, the Yankees actually never made Robertson a formal offer. It’s a shame to let him just walk away. That being said, if he was out of the range of money they wanted to spend, they knew they wouldn’t come close to the deal he got from the White Sox and they already had Miller in the fold, then why bother making an offer? Maybe they had bigger plans for that money. We will definitely miss Robertson. He brought a lot not only to the field, but to the community as well, with his High Socks for Hope Foundation. It will hurt to see him closing for the White Sox, especially if he ever has the chance to save a game against the Yankees. That being said, if they can take the money they saved by not signing him, and bring in a Jon Lester or a Max Scherzer, then you have to consider this an OK move. We’ll miss you, David. Good luck in Chicago.